Do you remember when you were young and you and your friends talked about what you wanted to be when you grew up? And today, years later, are you where you wanted to be, or is it still just a childhood dream? I remember as a teenager mentioning various ideas about what I wanted to do when I grew up. Unfortunately, many of the ideas were shot down by any adult within hearing range. It is sad that many of us go through life with dreams and interests that we never truly follow up on and pursue because of the negative feedback we have encountered at some point. Of course, that is definitely no way to live our lives! Pursuing our dreams and discovering our passion is an important part of our self–discovery. Once you discover your passion and begin to work with it, you will find that your life will change for the better. As you learn to block out the negative noise, and pursue and develop your passion, you will find yourself truly enjoying your life. Do you think that discovering your passion is difficult? It was for me. Once I decided that it was time for me to figure out what my passion is, it took me several months of quiet meditation before I discovered it. Each day I would lay quiet and still for approximately fifteen minutes. I would close my eyes and practice breathing exercises that I learned in Yoga class and I would repeatedly ask myself what my passion was. The interesting thing is that the answer didn’t just suddenly jump out at me. So I continued on, doing and learning new things. One day I was working on some new projects and I realized that I had finally found work that I truly enjoyed. Actually I enjoy it so much, that it doesn’t even really feel like work. How Can You Discover Your Passion? First, ask yourself if you are happy doing what you are doing right now. If not, then think about when you were young and the things you wanted to do. If you had the opportunity to start something completely brand new tomorrow, what would that be? If you can, spend ten or fifteen minutes each day by yourself, quietly thinking about your passion. This may sound silly, but spending this quiet time by yourself everyday really is the key to self–discovery. Once your quiet time is up, let your thoughts go. Move on with your day. But be open to new things that you come across in your daily routine. Whether you read something new or meet someone new, or perhaps attend a seminar. Be open to any new possibilities that might help you discover your true passion. 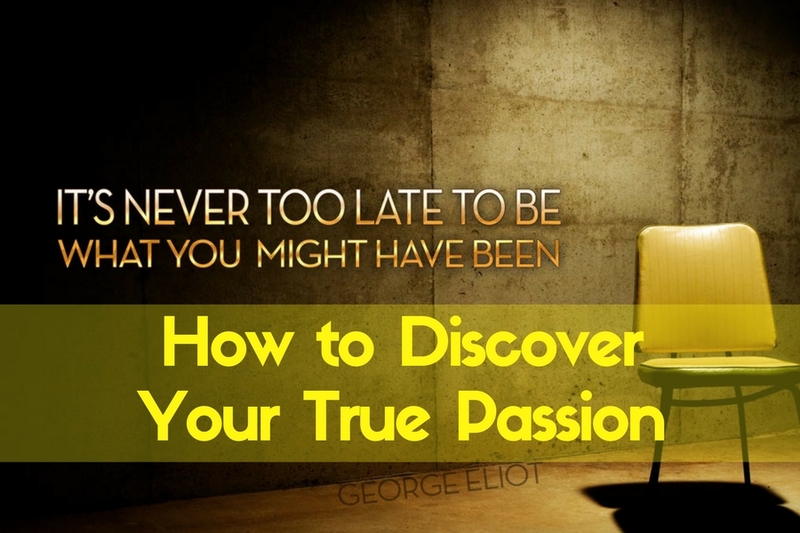 How Will I know When I Have Discovered My True Passion? You will know you have discovered your true passion when things just seem to flow. When you find yourself working away completely oblivious to what time it is. When the only thing on your mind is what you are working on at that specific moment. When you feel relaxed and happy because working on your passion fills you with so much joy, so much energy and so much excitement. Have you discovered your true passion?